Now, most young people are attracted by Cabin Crew Jobs. Because of their glamorous lifestyle. Because You love to travel and learn about new cultures, also love to meet new people every day and make them happy. We know that now Malaysia is a great country to start our career as cabin crew. Because of there growth in the Aviation Industry. Also, we can say Kuala Lumpur International Airport is one of the world ranking airports. So if you will get a chance to work with this airport, I can say that will boost your cabin crew career. So, here I have written an article where you will get full information on cabin crew recruitment in Malaysian Airlines. You will get the job role of cabin crew, cabin crew eligibility criteria and how you can apply online for cabin crew vacancies. Ensuring comfort and safety during the flight, providing excellent customer service to the passengers, strictly following company policies and regulatory standards. Continuous excellent and superior flight service to meet customer expectations and cross over. Security – Ensure proper management of customers’ safety and cabin operation in the emergency procedure manual. Discipline – To maintain a high level of discipline at all times as per the prescribed rules and regulations for the airline cabin crew. Maintaining standards for grooming yourself at all times as described in the Cabin Crew Grooming Manual. Management – Conversations and knowledgeable with your responsibilities and duties set out in cabin crew jobs responsibilities and duties. Allows managing your performance level and determined it in the duties of Flight Steward. Alowes being customer focused on service delivery. Be responsible for in-flight supervisor and Leading Steward in all matters related to the crew’s discipline, Grooming and performance level. Special care about the first time air traveller. You should responsible for all service matters in First, Business and Economy Class passenger. To fulfil the standards and requirements set by Flight Steward’s responsibilities and duties. You should be prepared for all your documents where they are applicable. Ensure the safety, proper operation and storage of all company equipment under its charge. The minimum SPM or its equivalent is accredited by the Malaysian government with credit in English and credit Malaysia. For cabin crew vacancies age requirement should be 18 years and above. To attend Malaysian Airlines cabin crew interview your height should be 157 cm or more for Female and 173 cm for the male. Applicant must have good interpersonal and writing skills. Able to read, write, speak and understand English. All the cabin crew applicant must have skills of – punctual, dependable and flexible with scheduling. Able to understand and follow standards of cabin crew operations and inflight services and aviation policies and regulations. Work can be demanded because the cabin crew has to cross in different time zones, and often have to work through exhaustion and jet intervals. Cabin Crew Career in limited spaces and they have to spend a lot of time on their feet. Physically demanded work, especially on long haul flights. Dealing with difficult travellers in the enclosed space with the audience can be stressful. Work with people from different backgrounds and cultures. Note – Please check out aviation interview tips here and check out the cabin crew interview question list. Which help you to understand this interview and get prepared for cabin crew vacancy. To apply for Malaysian Airlines Air Hostess Vacancy you need to visit the company official website by click here. Then there you will get the apply button. Just you need to login there with an email id and password you can apply online. If you want to apply for any other vacancy for Malaysian airlines please click here to visite Malaysian airlines Career page. You will get the list of latest jobs vacancy like – airlines ground staff jobs, Malaysian airlines pilot jobs etc. Basic Salary during training RM 1000 and Basic salary after training/online – RM 1200. The company provided free transport to all the cabin crew, as well as free and discounted travel benefits. The airlines also offer attractive medical and dental benefit after getting Cabin Crew Jobs. So, it’s important to read this article carefully to apply it online. Still, if you have any query please feel free to contact me on my Facebook Page and YouTube Channel by the name of Aviation Dreamer. Thank you for visiting our website. 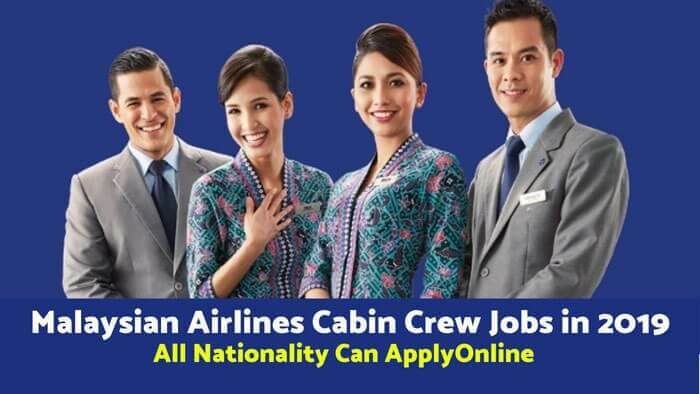 i need Cabin Crew job in my life because i mentent my life style like a great Parson..
it’s great.. please visit the cabin article again and check out the airline’s official link to apply online.